WiFi Remote Controller Housing( WiFi Remote Controller NOT Included) allows you conveniently attach your WiFi Remote to the pole so you can easily start or stop shooting while your pole is high up in the air. 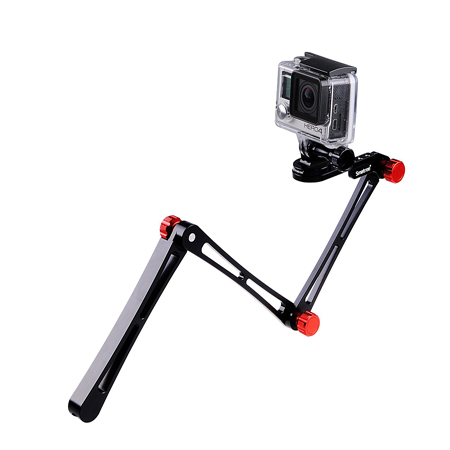 Telescopic pole allows quick length adjustment from 17.5″ to 48.5″, it can offer the optimum shooting effect. Adjustable head allows for multiple angles shooting with 360° horizontal and 180° vertical directions. A small self-portrait mirror at the top of Smapole Y1 let you know the correct position for taking your photos. Hopefully I'll get a chance to try another smatree pole in the near future because I am sure they are just as well made as this pole! Once this came in, I HAD to try it out. I took my wife's smartphone and my GoPro along with my Canon DSLR and had to test out the pole. The Cellphone holder doesn't clamp down too tightly onto your phone, so you definitely dont want to swing it around and have the phone pop out but what it does so is allow you to use your phone as a selfie pro! This is also great if you're on Skype of FaceTime and you want to show off the area to a friend of show the other person on the phone a close up of something you cannot reach if you didn't have the pole. 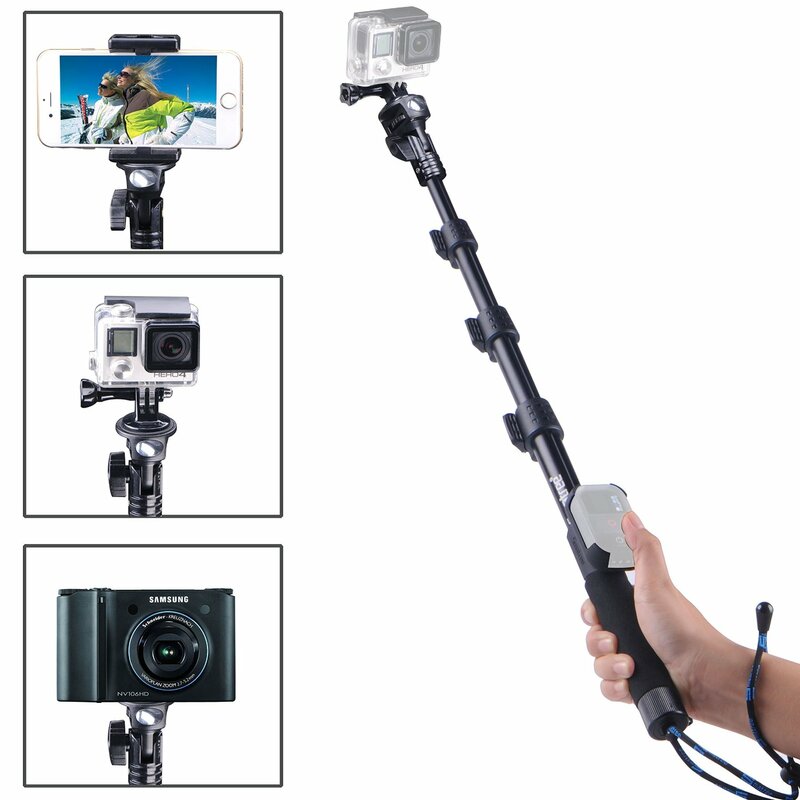 The GoPro tripod mount is great and screws onto the pole tightly along with the DSLR. Most importantly, this pole is quality! Tight connections, smooth adjustments and an overall great feel. This pole is great! I recently used this pole for a snowboarding trip and it did a great job. This pole has clamps for adjusting the length instead of just turning the rubber pieces like the smapole S1. It is much easier to adjust the pole with gloves on. I also love the fact that the pole came with a phone mount. It is very easy to get the phone into it and I know it will be secure. This is a great product! A great all around product. Beyond using a GoPro, this holds smart phones very well (although I'd caution you using it for extreme activities as the phone will fall out). Put your smart phone in the holder and take normal selfie shots, typical low activity video. 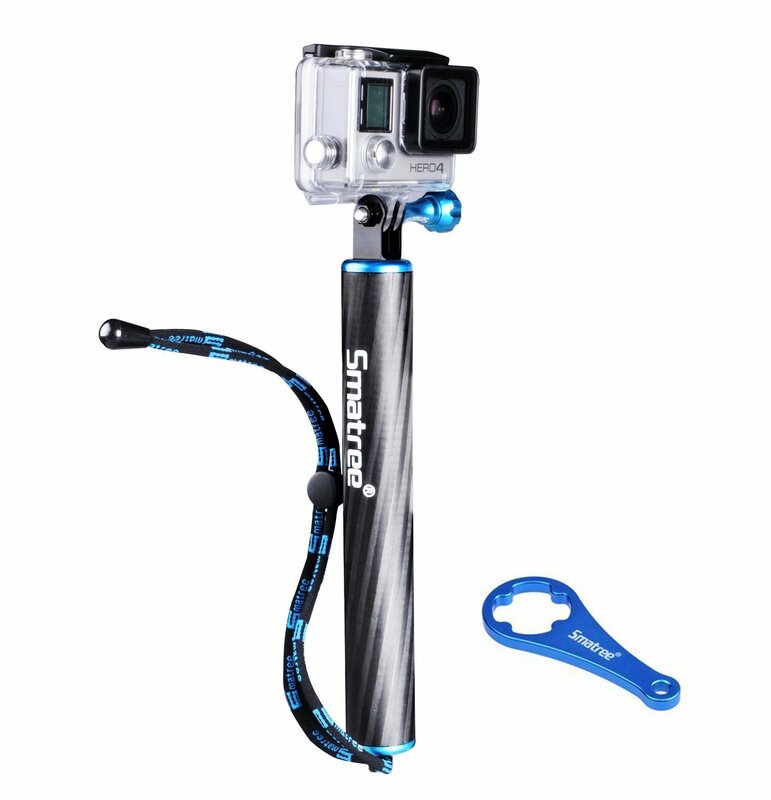 Easily sway the phone holder for the GoPro tripod mount and you have a great pole that allows you to use the GoPro in more extreme activities... 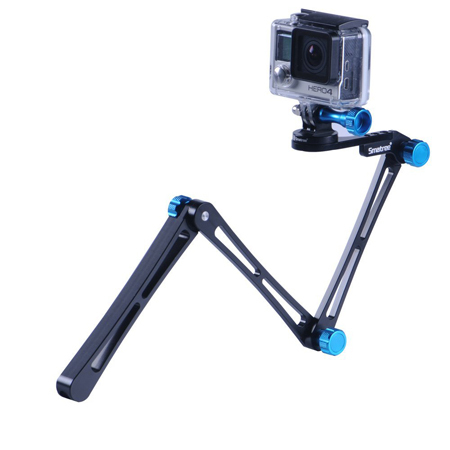 This is also a great monopole for your DSLR, Point and Shoot or older style cameras. Great multi use pole that slides smoothly and locks up pretty tightly.